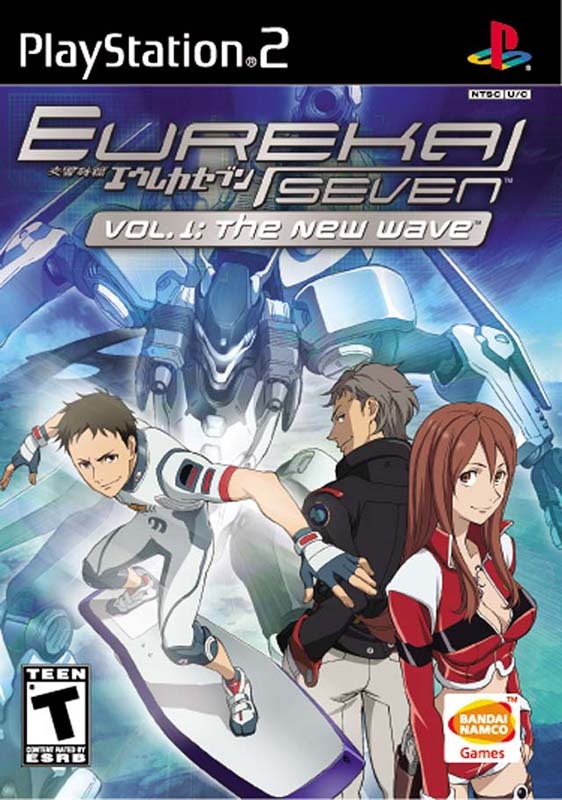 A 2005 anime created by studio Bones following a young teen as he finds himself in the odd situation of piloting a giant robot against the enemy. While the overall premise isn't all that different from other mecha anime, the story took a rather strange turn part way into it's first half which quickly grabbed the audience. Also going into great depth into the robots and the world itself rather than just the conflict, it still stands out among many anime to date, even if it's a hit or miss on whether someone can get past the first 10 episodes or so. It was popular enough to net itself many manga, three video games, a movie, and a sequel anime that's it. That's all, nothing else. Don't worry about it. We'll be playing through the entirety of the the first game, The New Wave, story line, while showing some of the side situations. The game is rather sparse in what it has to show and is generally a rougher version of what it's sequel has to offer. That said. You're piloting a giant robot where it actually feels like you're piloting a giant robot. Any game that lets you do that is really cool in my books. Also there's hover boarding. And who doesn't love hover boarding? I, Michael, will be the one playing this game while my wife, Calli, helps co-commentate. She knows very little about Eureka seveN which works out perfectly as. Due to recording schedules I'll be taking this game on solo now, and Calli will join when she can. This game is a prequel to the anime. So even if you haven't watched the show you're not missing out on a whole lot for this experience. We plan to update once a week. This may change, it may not. We'll see how it goes. In all honesty. We rag on the game pretty hard at times. When it comes down to it. I love this game for what it is, the series it's a part of, and what it lets me do. But there are some major flaws with it's plot and repetitive game play aspects. I do really love the game though, despite all it's little "quirks." Part B - Do You Lift? Part A - In Bester?! Part C - Why? Why?? Why?? ?